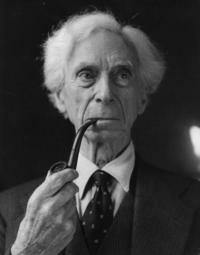 Bertrand Russell is perceived as one of the most formidable foes of the Christian religion that our century has known. In Part 1 we noted that Russell’s essay, “Why I Am Not a Christian,” offered two general reasons for his unbelief. The first of these we have considered already. 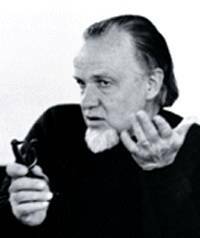 The second was this: in order to be a Christian, one must have “some kind of belief about Christ.” He then added: “I do not think Christ was the best and wisest of men, although I grant him a very high degree of moral goodness” (1957, 5). There are a few things that should be said about this statement before we address the philosopher’s specific objections to Christ and his teaching. First, he ought to have identified his source of information regarding the Lord. Where did he learn about Christ? From the New Testament, of course. And yet he repeatedly impeaches this document as a reliable source of information. He simply wanders through the Gospel accounts, taking what he wishes to exploit and rejecting the rest. His approach to the New Testament was grossly dishonest. Russell’s daughter wrote about her exposure to Christian history at his feet: “[W]e heard ‘the other side’ only from people who disagreed with it. There was never a cogent presentation of the Christian faith, for instance, from someone who really believed in it” (1975, 94). Again she declared: “When [father] wanted to attack religion, he sought out its most egregious errors and held them up to ridicule, while avoiding serious discussion of the basic message” (Ibid., 188). Second, do not forget Russell’s statement that he attributed to Christ “a very high degree of moral goodness.” That will ring quite phoney as he subsequently castigates the Lord for his alleged cruelty, etc. Finally, how did the professor determine what constitutes “moral goodness”? He really had not a clue. In an essay titled, “What I Believe,” he penned this shocking statement: “Outside human desires there is no moral standard” (Ibid., 62). Could human conduct ever be judged immoral if “human desire” were the only standard? But let us consider some of Russell’s objections to Jesus and his teaching. Incredibly, Mr. Russell wrote: “Historically it is quite doubtful whether Christ ever existed at all, and if He did we do not know anything about Him” (Ibid., 16). What shall we say of this? It ignores a vast body of historical evidence which establishes the existence of Jesus. The New Testament documents, Jewish testimony (e.g., Josephus and the Talmud), and Roman history (Tacitus, Suetonius) all declare the historical existence of Christ (see Jackson 1986, 29ff). It is impossible that a religion that has impacted humanity as Christianity has, was grounded in a man who did not even exist. If Christ never existed, why do men like Russell consume so much time opposing him? Do they expend such energy on other “mythical” characters? Most infidels are at least candid enough to concede the existence of Jesus (see Allen 1990, 229). Ignoring his personal inclination—that Christ did not exist—Russell affirmed that Jesus “as He appears in the Gospels,” was quite defective in his teaching. For one thing, he argued, Christ “certainly thought His second coming would occur in the clouds of glory before the death of all the people who were living at that time” (Ibid., 16). He is obviously alluding to Matthew 16:28. Having no concept at all as to how to interpret Scripture, Mr. Russell failed to recognize that the term “coming” is employed in several different senses in the New Testament (see Jackson 2005, 31ff), and that in the passage cited above, the Lord was not speaking of his Second Coming. Rather, he was alluding to a representative coming in his kingdom, which, in fact, occurred on the day of Pentecost (cf. Mark 9:1; Acts 1:8; 2:4). Russell alleged that “a very serious defect” in “Christ’s moral character” was that “He believed in hell” (Ibid., 17). The professor declared that “any person who is really profoundly humane” could not believe in everlasting punishment. Hell, he asserted, is a doctrine of “cruelty” (Ibid., 18). Does this objection have any real validity? It does not, and for the following reasons. The “hell” of the Bible is eternal separation from the Creator (cf. Matthew 25:41,46; 2 Thessalonians 1:7-9). Would the popular philosopher contend that it is humane to force ungodly rebels to spend eternity in the presence of the God they have denied and despised? Even Russell acknowledged that the punishment of criminals is necessary for the welfare of society (Ibid., 72). He just thinks he knows more than God about how to deal with criminals in eternity (see Jackson 1992, 55-62). Mr. Russell found fault with Christ in connection with the destruction of the Gadarene swine (Matthew 8:28-34), and the “curious story of the [cursing of] the fig tree,” recorded in Matthew 21 (Ibid., 18-19). As to the narrative regarding the swine we must note: the Son of God, as sovereign over the creation (Colossians 1:16), has a right to use his creatures in any way that is consistent with his plan for the benefit of humanity. The destruction of the swine was doubtless motivated by a desire to awaken the people of this region to a higher level of spirituality. A parallel narrative clearly indicates that the Gadarene citizens were more concerned with their animals than they were human beings (Mark 5:16-17). Moreover, there is nothing at all difficult about the record concerning the fig tree. Christ did not blight the fig tree merely because it was not bearing fruit at a time in the year when figs were unavailable. Rather, the tree was one of nature’s oddities. It was leafed out, but without figs. The Palestinean order of a certain species was: figs first, then leaves. The tree gave the appearance of having fruit, but it had none. It was thus a fitting illustration of the Jewish nation—a people professing fruit, but bearing none. The Savior destroyed the tree as a visual-aid lesson to proclaim the coming doom of national Israel. Of course men like Russell do not take the time to explore the background of a biblical context; they aim to discredit Christ no matter what it takes. Russell said that men do not accept religion as a result of intellectual argument; rather, they adopt it on “emotional grounds” (Ibid., 19). He illustrated this by suggesting that society is told that if it does not accept Christianity, wickedness will reign. Since most folks do not want a world of this nature, they emotionally embrace the Christian system without carefully analyzing the facts. We must say two things in response to this. The same charge could be made regarding unbelief. Atheism is accepted emotionally rather than intellectually. Dr. Joshua Liebman declared that much of atheism has “roots” in the “soil of emotion” long before the unbeliever has been exposed to philosophy or science. Aldous Huxley openly admitted that his rejection of religion was due to the fact that he did not want his sexual freedom hindered! (Jackson 1974, 3). Christianity is a great deterrent to evil, and no person, who has any respect for the facts of history, will deny this. Christianity, as soon as it conquered the state, put an end to gladiatorial shows. . . . Christianity also did much to soften the lot of slaves. It established charity on a large scale, and inaugurated hospitals . . . . In a new form, it passed over into modern Liberalism, and remains the inspiration of much that is most hopeful in our somber world (Ibid., 137). The philosopher was hopelessly confused! Many of the moral objections the professor entertained against Christianity were really not directed against its pristine form, but rather against modern abuses of the system (e.g., the perversions of the Roman Catholic Church). 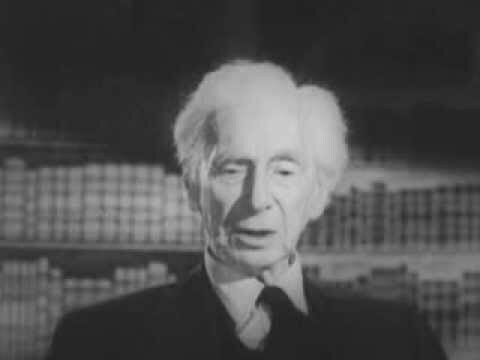 Bertrand Russell’s charges against Christianity were without merit. The religion of Jesus Christ shines brighter after every critic’s attack. Allen, Steve. 1990. Steve Allen on the Bible, Religion, & Morality. Buffalo, NY: Prometheus. Jackson, Wayne. 1974. Fortify Your Faith. Stockton, CA: Apologetics Press. Jackson, Wayne. 1986. What Think Ye Of Christ? Essays in Apologetics. Vol. 2. Montgomery, AL: Apologetics Press. Jackson, Wayne. 1992. The Goodness of God And An Eternal Hell. Essays in Apologetics. Vol. 5. Montgomery, AL: Apologetics Press. Russell, Bertrand. 1950. Unpopular Essays. New York, NY: Simon & Schuster.